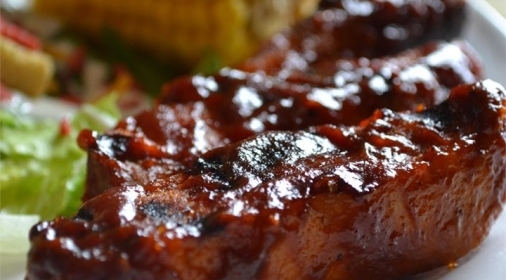 It’s National Barbecue week, where millions of barbecues are expected to be held across the UK. 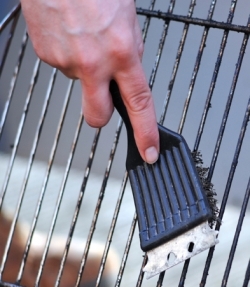 So, we’ve put together some barbecue cleaning tips and some simple steps on how to clean a BBQ. Cleaning a BBQ may not be as exciting as preparing delectable barbecue food, but keeping a barbecue clean is paramount to ensure your food tastes great, as well as being safe to eat. We recommend cleaning your BBQ around once a month, but you should also complete the first 3 steps of this BBQ cleaning process each time after using your barbecue. Leave the grill in place and wait for your barbecue to get to full heat. For a gas barbecue, turn the heat on full and for a charcoal barbecue, throw in fresh coals and wait for them to get boiling hot. Put the lid on, and leave for 15-20 minutes. This will clean your BBQ by baking off any food particles and debris, making it much easier to clean the barbecue parts. Switch off your barbecue and wait around 30-45 minutes until it has completely cooled down, and then remove the bars and scrub at them with a steel brush. 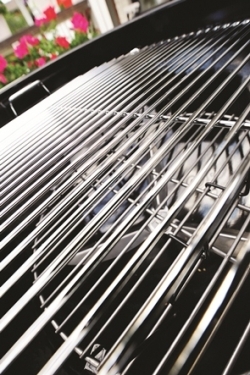 A good BBQ cleaning tip is to make sure that you reach all of the corners and edges of the grills. 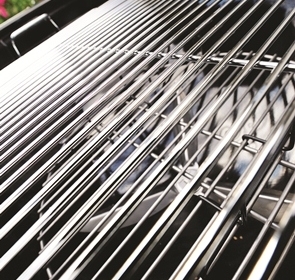 To clean a BBQ thoroughly, add the grills to a bucket of warm, soapy water and scrub at them again. There are also domestic barbecue or multi-purpose cleaning products that you can use to clean your BBQ grills, however, it’s worth checking the manufacturer’s instructions before using them. Once you’ve scrubbed the grills again, rinse and dry them immediately. Remove all the other barbecue parts such as drip trays, again waiting until they have cooled down, and wash all of them using warm, soapy water and then dry them as before. Scrub down the rest of the inside of the barbecue with a steel brush and a little warm, soapy water if necessary. Place all the parts back onto your barbecue. But if you’d rather not endure the hassle, time and effort of cleaning a BBQ, Ovenclean can do the hard work for you. Using safe, non-toxic and fume-free products, we can leave your barbeque spotless and ready to light at a moment’s notice when the sun appears! As well as BBQ cleaning, we can remove grease, fat and burnt on carbon deposits from ovens, hobs, microwaves, and agas – using 100% caustic free cleaning solutions ensuring a safe, hygienic and fume-free environment, so your appliances are safe to use as soon as the cleaning job is complete. Call us on 0800 840 7127, or complete our online form for your free quote.